Los Angeles, Apr 11, 2019 (Issuewire.com) – The Henry Armstrong Foundation announced this week that they are extremely honored and humbled to introduce their newest youth member Ka’ Vonte “KDOT James, representing El Paso Texas and their online Positive Self-Image – Psychology Mentoring Sports Youth Program, designed to encourage, boost self – esteem and build confidence in young people regardless of race, creed, or ethnicity along with encouraging young minds to Get An Idea about their future and to write down their goals they want to achieve in life on their Get An Idea Card. This program is free to all youth Worldwide. 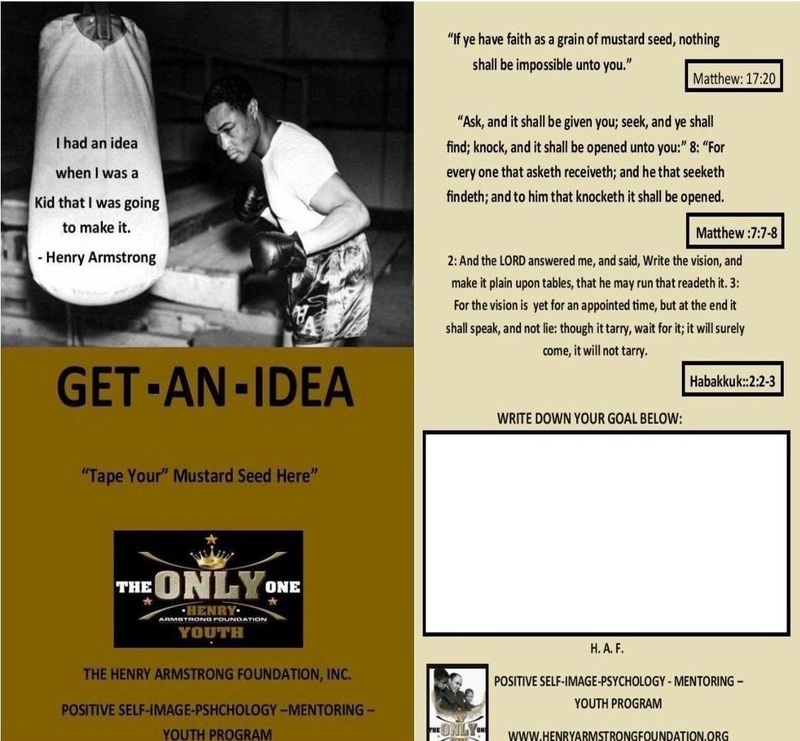 The youth program and the Get An Idea card was created after boxing legend Henry Armstrong, when he was a kid he had an idea that he was going to make it and we want to encourage every young person to get an idea to make it, along with providing them with an I AM affirmations photo card, which represents I AM THAT I AM (GOD) Exodus 3:14 and whatever you add to the words I AM, you become. Therefore be imitators of God, as beloved children. Ephesians 5:1. 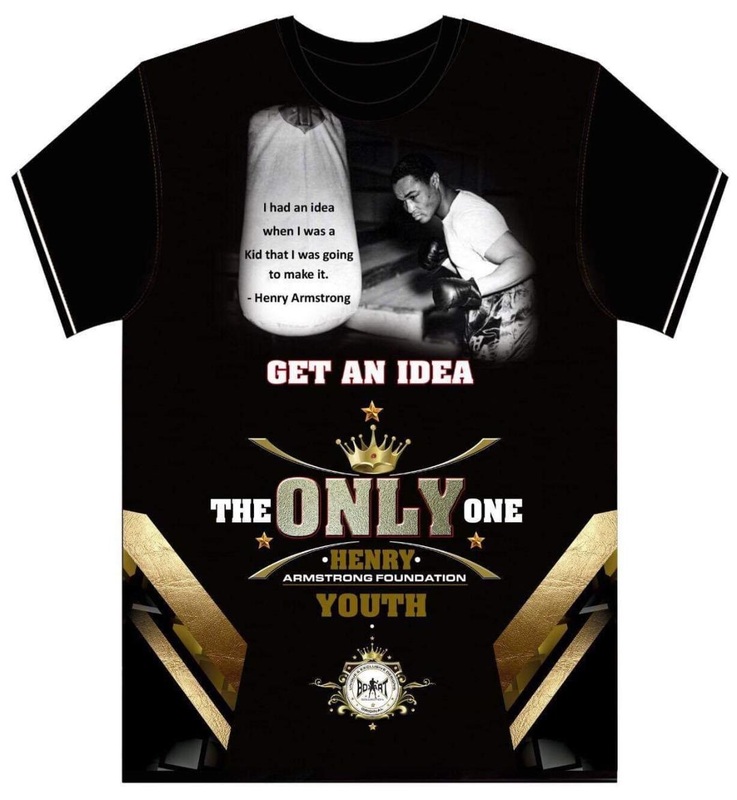 They are also challenging all religions, media, boxing gyms, athletes, professional boxers, boxing fans, boxing’s sanctioning organizations, WBA, IBF, WBO, WBC, LBF, promoters, trainers,commentators and the general public, for their financial support for the cost of the t-shirts, and get an idea cards, etc., along with using their platform to bring awareness to the program by spreading the word with a short video about encouraging young people to get an idea about their future and to write down their goals they want to achieve in life on their Get An Idea Card. 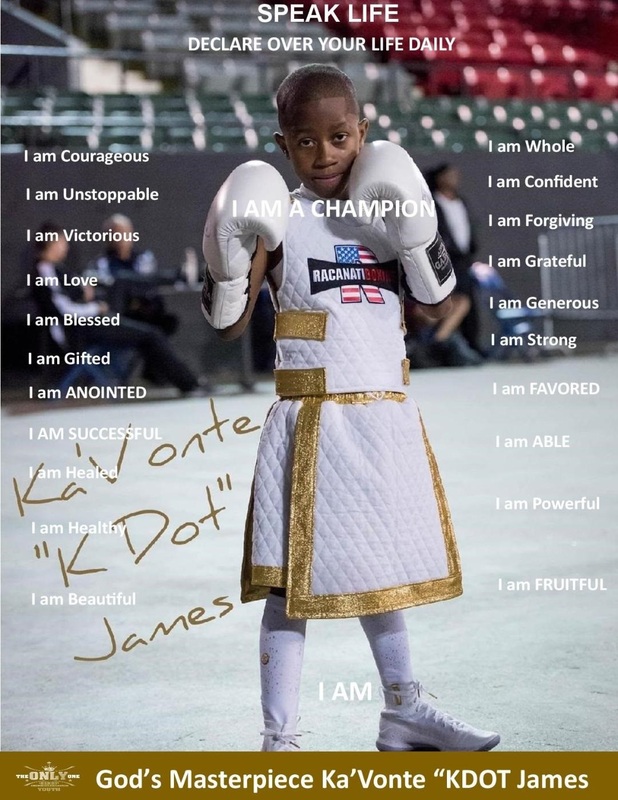 Edward Scott, Jr., grandson and founder of the Henry Armstrong Foundation commented, we are extremely honored and excited about having 10-year-old, 6X National Champion amateur boxer and” Future World Champion” Ka’ Vonte “KDOT James as one of our youth members. I personally met this incredible young man Ka’ Vonte “KDOT James, in Las Vegas last year and was very impressed, he began boxing at the age of 5 years old. Ka’ Vonte “KDOT James is certainly a true champion and we believe that he would be an inspiration for the youth today. He is extremely humble, kind and wise beyond his years. Ka’ Vonte “KDOT’s goal is to become the first ever male World Champion from El Paso Texas and give back to kids inspiring them. His values and morals distinguish who he is as a person. The Henry Armstrong Foundation and the Armstrong Family supports Ka’ Vonte “KDOT James and Team Dot Nation inside and outside of the boxing ring. We believe that boxing legend Henry Armstrong would’ve approved of this young fighter and would have been extremely proud of Ka’ Vonte “KDOT James’s accomplishments and dedication because his values and morals distinguish who he is as a positive individual representing our youth program. We pray that God will bless Ka’ Vonte “KDOT James to become an amazing Champion at whatever he decides to be, do or have in life and we encourage everyone to follow his career. For more information about him; follow Ka’ Vonte “KDOT James on Facebook and on Instagram @young_dot_nation.